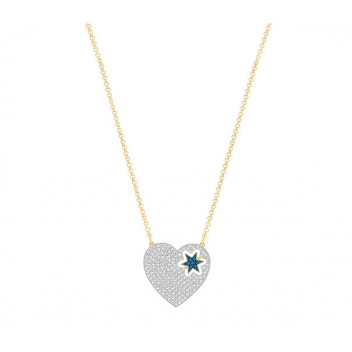 We love this little heart necklace. The pendant with its 'star within a heart' motif is utterly adorable. The rose gold chain in contemporary and stylish. Our favourite detail is the mini star, which can be flipped to display either the pave crystal, or plain metal. It's the perfect way to say I love you to that special someone.